May 21, 2018 A few clarifications made throughout these Terms of Service. Apr 16, 2017 Many new changes added throughout. Oct 4, 2016 Major changes implemented throughout. Sep 2, 2016 Several new changes throughout effective October 1, 2016. Apr 12, 2016 Section updated: "About the Web Services Terms of Service and Comcast Web Services"; New section added entitled "24. Special Note about Comcast Email for Users who are not XFINITY Internet Subscribers". Mar 2, 2016 The document has been reverted to its October 2015 version. Feb 24, 2016 The section "1. About the Web Services Terms of Service and Comcast Web Services" has been updated to include your Comcast-provided email address; A new section has been added entitled "24. Special Note about Comcast Email for Users who are not XFINITY Internet Subscribers". Dec 5, 2013 This is the initial version that ParanoidPaul captured. It is not necessarily the first version of the document. Within these Web Services Terms of Service ("TERMS") the term "COMCAST" or "WE" (and related pronouns) will refer to Comcast Cable Communications Management, LLC, and its respective subsidiaries and affiliates that own and operate websites and Internet services on its behalf. The term "YOU" (and related pronouns) refers to you as a user of Comcast's websites and Internet services described below. Note: These Terms contain a binding arbitration provision in Section 20 that affect your rights under these Terms with respect to all of the Comcast Web Services. WHAT IS OUTSIDE THE SCOPE OF THESE TERMS? These Terms DO NOT APPLY to your use of any other products or services provided by Comcast such as XFINITY TV, XFINITY Voice, XFINITY Internet, and XFINITY Home. If you subscribe to or use one or more of these services (including using the Comcast Web Services to place or receive XFINITY Voice calls), you can see the terms that apply to the residential versions of these services by visiting http://www.comcast.com/Corporate/Customers/Policies/Policies.html. Using any of the Comcast Web Services, in which case you understand and agree that these Terms will apply to your use of those services (or any parts of them) (the earlier of the dates you checked such box or first used the Comcast Web Services, the "EFFECTIVE DATE"). You may wish to print or save a local copy of the Terms for your records. In order to use the Comcast Web Services you may be required to provide information about yourself (such as identification or contact details). You agree that any registration information you give to Comcast will be accurate, complete, and current. You will notify Comcast immediately of any changes to any of the foregoing information. You are responsible for updating your email address, so that if you use any of the account management features of the Comcast Web Services, such as online bill pay, Comcast can send you notices relating to these features, such as notice that your online bill has posted. If your email address is not current, you will not receive online bill postings; however, your payment due date will remain unchanged. post on or distribute through the Comcast Web Services unsolicited bulk or commercial messages commonly known as "spam;"
attempt to or actually circumvent any method used by Comcast to control access to Comcast Web Services, including, but not limited to, spoofing or otherwise impersonating an IP address for your computer that is not actually assigned to your computer or setting up a proxy or other device that allows others to access the Comcast Web Services through it. If you are an XFINITY Internet customer, you can find the guidelines for acceptable use of the Internet service, including any XFINITY email or webmail services, at http://www.comcast.com/Corporate/Customers/Policies/Policies.html. You are responsible for maintaining the confidentiality of your Comcast Web Services account and its password(s). In addition you are responsible for controlling access to any PCs, mobile devices, or other end points that you allow to store your password, or on which you enable a "Remember Me" or similar functionality ("ACTIVATED DEVICE"). Accordingly, you agree that you will be solely responsible to Comcast for all activities that occur under your Comcast Web Services accounts, including the activities of any individual with whom you share your Comcast Web Services account or an Activated Device, and will be responsible for any breach of these Terms caused by these activities. If you become aware of any unauthorized use of your password or of your account, you agree to notify Comcast immediately. To protect your privacy, Comcast recommends logging out of the Comcast Web Services after each visit when you are using a public or shared PC, mobile device, or other end point. If you use any of the voice control features of the Comcast Web Services, like the voice control feature of the X1 Remote app, all voice commands are sent to Comcast or its contracted service provider. Comcast, and its provider, use these voice commands to provide the voice control service (including quality assurance, troubleshooting, and customer support), improve Comcast's products and services, and improve their voice recognition algorithms. If you use any of the voice control features of the Comcast Web Services, you consent to Comcast and its contracted service provider recording, storing, and using your voice input as described herein. The Comcast Web Services will allow you to access content and information, such as collections of data, video, audio, or other multimedia, and photographs and other static images (the "CONTENT"). This Content may be owned by Comcast, other companies that give Comcast the right to distribute their Content (like movie publishers), or users of the Comcast Web Services (like you). Comcast grants you a limited, non-exclusive, non-assignable license to view the Content and to use the Comcast Web Services for personal, non-commercial purposes as set forth in these Terms or in a manner that does not require a license. Except for activities that do not require a license, unless the Content was legally posted by you on the Comcast Web Services, you may not distribute copies of the Content in any form (including by email or other electronic means), without prior written permission from its owner. Of course, you are free to encourage others to access the Content and to tell them how to find it. In addition, our Content providers want to remind you that you must not remove, alter, interfere with, or circumvent any copyright, trademark, or other proprietary notices marked on the Content or any digital rights management mechanism, device, or other content protection or access control measure associated with the Content. The copying, downloading, stream capturing, reproduction, duplication, archiving, distribution, uploading, publication, modification, translation, broadcast, performance, display, sale, or transmission of the Content is strictly prohibited unless it is expressly permitted by Comcast in writing or is an activity that does not require a license. You may not incorporate the Content into any hardware or software application. This prohibition applies even if you intend to give away the derivative materials free of charge. You understand that by using the Comcast Web Services you may be exposed to Content that you may find offensive, indecent or objectionable. In this respect, you use the Comcast Web Services at your own risk. If you would like to use them, there are commercially available services and software that can limit exposure to material that you may find objectionable. The XFINITY Internet service provides security information and tools for all users, including parents, at http://constantguard.xfinity.com. Some of the tools may require that you be a registered XFINITY Internet user in order to download and use them. You understand that Comcast has the right to change the Comcast Web Services at any time with or without notice to you. We also may rearrange, delete, add to, or otherwise change Content or other features or functionality contained within the Comcast Web Services. If we do give you notice of these changes, it may be provided on any of the Comcast Web Sites, or via email, newspaper, bill insert, or any other reasonable means of communication. If you find a change in the Comcast Web Services unacceptable, you have the right to cancel your Comcast Web Services account or to stop using the Comcast Web Services. However, if you continue to use the Comcast Web Services after the change, this will constitute your acceptance of the change. Some of the material appearing on the Comcast Web Services will be provided by users or third parties. Pursuant to Section 230 of the federal Communications Decency Act, providers of interactive computer services are not considered or treated as publishers or speakers of information that is provided by other information content providers. Comcast does not claim ownership of any material that users submit or post on the Comcast Web Services. You agree that you are solely responsible for (and that Comcast has no responsibility to you or to any third party for) any material that you create, transmit, or display while using the Comcast Web Services, and for the consequences of your actions (including any loss or damage which Comcast may suffer) by doing so. Further, you agree that, with respect to any communication you submit to us for posting on the Comcast Web Services, you will not: (i) include any content that violates a third party's copyright or other proprietary or privacy rights; (ii) publish falsehoods or misrepresentations portrayed as fact; (iii) include any advertising or solicitations; or (iv) submit any material that is unlawful, obscene, defamatory, libelous, threatening, pornographic, harassing, hateful, racially or ethnically offensive, or encourages conduct that would be considered a criminal offense, give rise to civil liability, violate any law, or is otherwise clearly inappropriate. If you post any content to the Comcast Web Services, you hereby grant Comcast and its licensees a worldwide, perpetual, royalty-free, non-exclusive right and license to use, reproduce, publicly display, publicly perform, modify, sublicense, and distribute the content, on or in connection with the Comcast Web Services or the promotion of the Comcast Web Services, and incorporate it in other works, in whole or in part, in any manner. You represent and warrant that you own the content or otherwise have sufficient rights in it to grant to Comcast the license set forth in this section without infringing or violating the rights of any third party. If you remove content that you have posted to the Comcast Web Services or terminate your Comcast Web Services account, this license will automatically expire, with a few limited exceptions. Comcast may retain copies of your content that were archived in the normal course of Comcast's systems operations. In addition, copies of content that you have shared with other users of the Comcast Web Services may be retained by Comcast and associated with those other users' accounts in order to provide them with the Comcast Web Services. Comcast does not assert any ownership over content that you post to the Comcast Web Services; rather, as between us and you, subject to the rights granted to us in these Terms, you retain full ownership of and/or licenses to all content you post to the Comcast Web Services and any intellectual property rights or other proprietary rights associated with that content. The Comcast Web Services may also contain links to community forums, bulletin boards, chat rooms, and blogs about the various Comcast Web Services. Children under the age of 13 should not post in any of the forums, boards, chat rooms, blogs, other editorial sections of the Comcast Web Services. Participants in these forums, bulletin boards, chat rooms, and blogs are solely responsible for all content that they post there. Comcast retains the right, but not the obligation, to correct any errors or omissions in any of this content, as it may determine in its sole discretion. Comcast further reserve the right to delete or remove any content from the forums or blogs without prior notice or liability. You agree that your participation in these forums, bulletin boards, chat rooms, and blogs will at all times conform with the posted comment policy for that forum, bulletin board, chat room, or blog. Comcast reserves the right, but does not assume any obligation, to review any user submission prior to its display on the Comcast Web Services using automated tools or manual processes. Comcast may refuse to display or remove any user submission from the Comcast Web Services for any reason in our sole discretion. However, we will typically only do so when we become aware that the material in question is harmful, clearly illegal, or likely to be considered highly offensive or objectionable to a large segment of our users. Comcast welcomes your feedback about the Comcast Web Services. Comcast asks that you limit your feedback to the Comcast Web Services. Any communications you send to Comcast are deemed to be submitted on a non-confidential basis. By sending a communication or submitting feedback to Comcast, you grant Comcast, its affiliates, and their licensees a worldwide, perpetual, irrevocable, royalty-free, non-exclusive right and license to make, use, sell, offer for sale, import, export, have made, reproduce, publicly display, publicly perform, modify, sublicense, and distribute the content and inventions embodied therein, in any way and for any purpose. All of these uses shall be without liability or obligation of any kind to you. These uses may include, for example, use of the content of any of these communications, including any works, marks or names, ideas, inventions, concepts, techniques or know-how disclosed therein, for any purpose without any obligation to compensate the originator of the communications and without liability to that person. You acknowledge and agree that Comcast (or Comcast's licensors) own all legal right, title, and interest in and to the Comcast Web Services, including any intellectual property rights which subsist in the Comcast Web Services (whether those rights happen to be registered or not, and wherever in the world those rights may exist). Nothing in the Terms gives you a right to use any of Comcast's trade names, trade marks, service marks, logos, domain names, and other distinctive brand features. 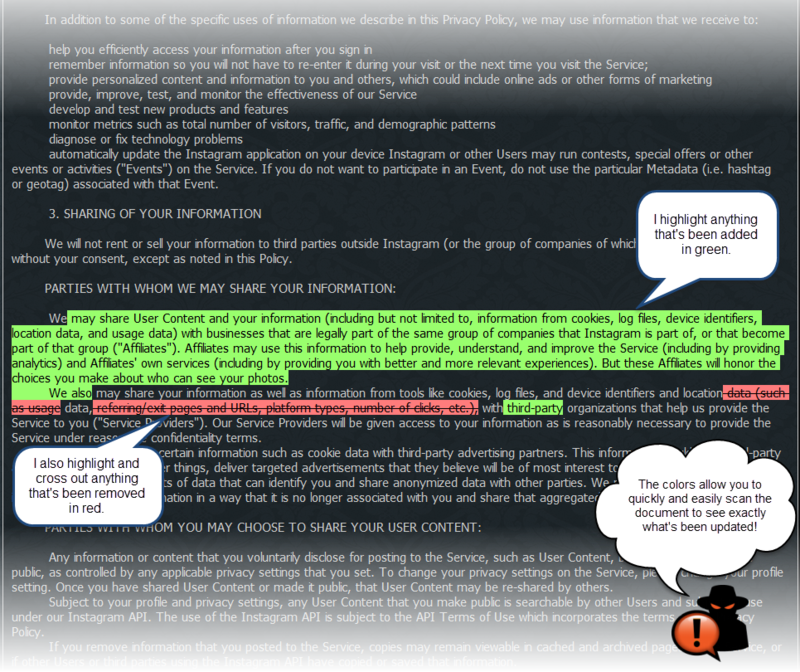 If you have been given an explicit right to use any of these brand features in a separate written agreement with Comcast, then you agree that your use of these features shall be in compliance with that agreement, any applicable provisions of the Terms, and Comcast's brand feature use guidelines as updated from time to time. Nothing in the terms gives you a right to use any trade mark, service mark, trade name, logo of any company or organization in a way that is likely or intended to cause confusion about the owner or authorized user of these marks, names or logos. Comcast welcomes links to any of the Comcast Sites. You are free to establish a hypertext link to these websites so long as the link does not state or imply any affiliation, connection, endorsement, sponsorship, or approval of your site by Comcast. The Terms apply to all users of the Comcast Web Services, and will be in effect from the Effective Date until terminated by either Comcast or you as set forth below. If you use any of the Comcast Web Services (or parts of those services) that are accessible without registration, you can simply discontinue use of those services at any time. Doing so will terminate the applicability of these Terms to you with respect to those services. If you breach any provision of these Terms or other applicable policies, or for any other reason, Comcast reserves the right to restrict, suspend, or terminate your use of the Comcast Web Services and terminate the Terms. We may take these actions with or without notice to you. Because unregistered users are generally unknown to us, in most cases we will be unable to give notice of these actions. If you use any of the Comcast Web Services (or parts of those services) as a registered user, you may delete your registered user account at any time. Doing so will terminate these Terms with respect to that Comcast Web Service. If you breach any provision of these Terms or other applicable policies, or for any other reason, Comcast reserves the right to restrict, suspend, or terminate your registered user account for any or all of the Comcast Web Services and terminate the Terms. We may take these actions with or without notice to you. Because registered users are known to us, however, we will generally use reasonable efforts to give notice of these actions. Currently, registered user accounts for Comcast.net and Xfinity.com are associated with Xfinity TV, Xfinity Internet (including Xfinity Wi-Fi), or Xfinity Voice service and cannot be deleted without also terminating the associated service. Sections 8 through 10, 12 through 15, 20, and 21 of these Terms will survive termination, and shall continue to apply indefinitely. BECAUSE OF THE NUMBER OF POSSIBLE SOURCES OF INFORMATION AVAILABLE THROUGH THE COMCAST WEB SERVICES, AND THE INHERENT HAZARDS AND UNCERTAINTIES OF ELECTRONIC DISTRIBUTION, THERE MAY BE INTERRUPTIONS, DELAYS, OMISSIONS, INACCURACIES, OR OTHER PROBLEMS WITH THIS INFORMATION. IF YOU RELY ON THE COMCAST WEB SERVICES OR ANY MATERIAL AVAILABLE THROUGH THEM, YOU DO SO AT YOUR OWN RISK. YOU UNDERSTAND AND AGREE THAT THE COMCAST WEB SERVICES ARE PROVIDED TO YOU "AS IS," "WITH ALL FAULTS," AND "AS AVAILABLE." COMCAST AND ITS AGENTS AND LICENSORS CANNOT AND DO NOT WARRANT THE ACCURACY, COMPLETENESS, USEFULNESS, TIMELINESS, NONINFRINGEMENT, MERCHANTABILITY OR FITNESS FOR A PARTICULAR PURPOSE OF THE INFORMATION AVAILABLE THROUGH THE COMCAST WEB SERVICES. BECAUSE SOME STATES DO NOT PERMIT THE EXCLUSION OR LIMITATION OF CERTAIN WARRANTIES, THESE EXCLUSIONS AND LIMITATIONS OF WARRANTIES MAY NOT APPLY TO YOU. COMCAST AND ITS AGENTS AND LICENSORS DO NOT GUARANTEE THAT THE COMCAST WEB SERVICES WILL BE ERROR-FREE, OR CONTINUOUSLY AVAILABLE, OR THAT THE COMCAST WEB SERVICES WILL BE FREE OF VIRUSES OR OTHER HARMFUL COMPONENTS. A. FOR PURPOSES OF THIS LIMITATION OF LIABILITY PROVISION, “COMCAST” REFERS TO NOT ONLY COMCAST CABLE COMMUNICATIONS MANAGEMENT, LLC BUT ALSO ITS PARENTS, SUBSIDIARIES, AFFILIATES, PREDECESSORS, SUCCESSORS, AND ASSIGNS, AND EACH OF THEIR RESPECTIVE OFFICERS, DIRECTORS, EMPLOYEES, AND AGENTS. B. EXCEPT AS EXPRESSLY PROVIDED IN THIS AGREEMENT, IN NO EVENT SHALL COMCAST BE LIABLE TO YOU OR TO ANY THIRD PARTY FOR ANY DAMAGES ARISING OR RESULTING FROM ANY INTERRUPTION IN OR DISRUPTION TO THE COMCAST WEB SERVICES. C. IN NO EVENT SHALL COMCAST BE LIABLE TO YOU OR TO ANY THIRD PARTY FOR ANY INDIRECT, INCIDENTAL, OR CONSEQUENTIAL DAMAGES (INCLUDING BUT NOT LIMITED TO LOST DATA, LOST PROFITS, OR LOST BUSINESS OPPORTUNITIES), REGARDLESS OF THE LEGAL THEORY, REGARDLESS OF WHETHER SUCH DAMAGES WERE FORESEEABLE, AND REGARDLESS OF WHETHER COMCAST WAS ADVISED OF THE POSSIBILITY OF SUCH DAMAGES. D. IN NO EVENT SHALL COMCAST’S AGGREGATE LIABILITY ARISING OUT OF OR RELATING TO THIS AGREEMENT EXCEED THE GREATER OF: (1) $2,500; OR (2) TWICE THE AGGREGATE AMOUNTS PAID OR PAYABLE BY YOU TO COMCAST PURSUANT TO THIS AGREEMENT IN THE TWELVE (12) MONTHS PRECEDING THE EVENT THAT GAVE RISE TO THE CLAIM. E. NOTWITHSTANDING THE FOREGOING, THESE LIMITATIONS OF LIABILITY SHALL NOT APPLY TO INJURIES: (1) TO THE BODY OR PERSON; OR (2) CAUSED BY COMCAST’S WILLFUL, MALICIOUS, RECKLESS, OR GROSSLY NEGLIGENT ACTS OR OMISSIONS. F. THESE LIMITATIONS OF LIABILITY SHALL SURVIVE THE TERMINATION OF THIS AGREEMENT. BECAUSE THE LAW REGARDING LIMITATIONS OF LIABILITY VARIES BY STATE, THESE LIMITATIONS OF LIABILITY MAY NOT APPLY TO YOU. NOTICE TO NEW JERSEY CONSUMERS: THESE LIMITATIONS OF LIABILITY APPLY IN NEW JERSEY. You agree to indemnify, defend, and hold harmless Comcast (including its parents, subsidiaries, and affiliates and all of their respective officers, directors, employees, agents, licensors, suppliers and any third-party information providers) against all claims, losses, expenses, damages and costs (including reasonable attorney fees) resulting from any breach of the Terms by you or any individual with whom you share your Comcast Web Services account or an Activated Device. Comcast reserves the right, at its election, to assume the exclusive defense and control of any matter subject to indemnification by you and you agree to cooperate with Comcast in connection with our defense. Comcast is committed to complying with U.S. copyright and related laws, and requires all users of the Comcast Web Services to comply with these laws. Accordingly, you may not use the Comcast Web Services to store any material or content, or disseminate any material or content, in any manner that constitutes an infringement of third-party intellectual property rights, including rights granted by U.S. copyright law. If you are the owner of any copyrighted work and believe your rights under U.S. copyright law have been infringed by any material on the Comcast Web Services, you may take advantage of certain provisions of the Digital Millennium Copyright Act (the "DMCA") by sending Comcast's authorized agent a notification of claimed infringement that satisfies the requirements of the DMCA. Upon Comcast's receipt of a satisfactory notice of claimed infringement, Comcast will respond expeditiously either directly or indirectly (i) to remove the allegedly infringing work(s) accessible through the Comcast Web Services or (ii) to disable access to the work(s). In accordance with the DMCA, it is Comcast's policy to reserve the right to terminate access to the Comcast Web Services (or any part of those services) for any user who is either found to infringe third-party copyright or other intellectual property rights, including repeat infringers, or who Comcast, in its sole discretion, believes is infringing these rights. Comcast may terminate access to the Comcast Web Services at any time with or without notice for any affected customer or user. If the affected user believes in good faith that the allegedly infringing works have been removed or blocked by mistake or misidentification, then that person may send a counter notification to Comcast. Upon Comcast's receipt of a counter notification that satisfies the requirements of DMCA, Comcast will provide a copy of the counter notification to the person who sent the original notification of claimed infringement and will follow the DMCA's procedures with respect to a received counter notification. In all events, you expressly agree that Comcast will not be a party to any disputes or lawsuits regarding alleged copyright infringement. Any notification of claimed infringement must be in a form that satisfies the requirements of Section 512(c)(3) of the U.S. Copyright Act. Under the DMCA, anyone who knowingly makes misrepresentations regarding alleged copyright infringement may be liable to Comcast, the alleged infringer, and the affected copyright owner for any damages incurred in connection with the removal, blocking, or replacement of allegedly infringing material. If a notification of claimed infringement has been filed against you, you can file a counter notification with Comcast's designated agent using the contact information shown above. All counter notifications must satisfy the requirements of Section 512(g)(3) of the U.S. Copyright Act. Comcast reserves the right to change these Terms from time to time. When these changes are made, Comcast will make a copy of the updated Terms available at this web page and will also make any updated Terms available to you by email, direct mail, or other reasonable means as selected by Comcast. Comcast will make the updated Terms available to you before they take effect. You understand and agree that if you use the Comcast Web Services after the date on which the Terms take effect; Comcast will treat your use as acceptance of the updated Terms. Comcast®, the Comcast design logo, XFINITY®, the XFINITY design logo, Plaxo®, and the Plaxo design logo are all trademarks or service marks of Comcast Corporation or its subsidiaries. All other trademarks and service marks appearing on the Comcast Web Services are the properties of their respective owners. Plaxo is not intended for use by, and should not be used by, children under the age of 13. You may not use www.plaxo.com if you are under the age of 13, or to solicit information from children under the age of 13. A. PURPOSE. If you are a subscriber to Xfinity TV, Xfinity Voice, XFINITY Home, and/or Xfinity Internet, please refer to the Binding Arbitration section of the Comcast Agreement for Residential Services, which section applies to any dispute, claim, or controversy between you and Comcast regarding any aspect of your relationship with Comcast, available here: http://www.comcast.com/Corporate/Customers/Policies/Policies.html. If you are not a subscriber to these services, any Dispute (as defined below) involving you and Comcast shall be resolved through individual arbitration. In arbitration, there is no judge or jury and there is less discovery and appellate review than in court. This Section 20 (the "ARBITRATION PROVISION") shall be broadly interpreted. B. DEFINITIONS. The term "Dispute" means any claim or controversy related to the Comcast Web Services, including but not limited to any and all: (1) claims for relief and theories of liability, whether based in contract, tort, fraud, negligence, statute, regulation, ordinance, or otherwise; (2) claims that arose before these Terms or any prior agreement; (3) claims that arise after the expiration or termination of these Terms; and (4) claims that are currently the subject of purported class action litigation in which you are not a member of a certified class. As used in this Arbitration Provision, "Comcast" means Comcast and any of its predecessors, successors, assigns, parents, subsidiaries and affiliated companies and each of their respective officers, directors, employees and agents, and “you” means you and any users or beneficiaries of your access to the Comcast Web Services. C. EXCLUSIONS. NOTWITHSTANDING THE FOREGOING, THE FOLLOWING DISPUTES WILL NOT BE SUBJECT TO ARBITRATION: (1) DISPUTES RELATING TO THE SCOPE, VALIDITY, OR ENFORCEABILITY OF THIS ARBITRATION PROVISION; (2) DISPUTES THAT ARISE BETWEEN COMCAST AND ANY STATE OR LOCAL REGULATORY AUTHORITY OR AGENCY THAT IS EMPOWERED BY FEDERAL, STATE, OR LOCAL LAW TO GRANT A FRANCHISE UNDER 47 U.S.C. § 522(9); AND (3) DISPUTES THAT CAN ONLY BE BROUGHT BEFORE THE LOCAL FRANCHISE AUTHORITY UNDER THE TERMS OF THE FRANCHISE. D. RIGHT TO OPT OUT. IF YOU DO NOT WISH TO ARBITRATE DISPUTES YOU MAY DECLINE TO HAVE YOUR DISPUTES WITH COMCAST ARBITRATED BY NOTIFYING COMCAST IN WRITING WITHIN 30 DAYS OF THE LATER OF YOUR FIRST ACCESS TO OR USE OF THE COMCAST WEB SERVICES, OR APRIL 5, 2013, BY VISITING WWW.COMCAST.COM/WEBARBOPTOUT, OR BY MAIL TO COMCAST 1701 JOHN F. KENNEDY BLVD., PHILADELPHIA, PA 19103-2838, ATTN: LEGAL DEPARTMENT/ARBITRATION. YOUR WRITTEN NOTIFICATION TO COMCAST MUST INCLUDE YOUR NAME, ADDRESS AND ACCOUNT NUMBER (IF YOU ARE A COMCAST SUBSCRIBER) OR TELEPHONE NUMBER (IF YOU ARE NOT A COMCAST SUBSCRIBER) AS WELL AS A CLEAR STATEMENT THAT YOU DO NOT WISH TO RESOLVE DISPUTES WITH COMCAST THROUGH ARBITRATION. YOUR DECISION TO OPT OUT OF THIS ARBITRATION PROVISION WILL HAVE NO ADVERSE EFFECT ON YOUR RELATIONSHIP WITH COMCAST OR SERVICES PROVIDED BY COMCAST. IF YOU HAVE PREVIOUSLY OPTED OUT OF ARBITRATION WITH COMCAST, YOU DO NOT NEED TO DO SO AGAIN. E. INITIATION OF ARBITRATION PROCEEDING/SELECTION OF ARBITRATOR. The party initiating the arbitration proceeding may open a case with the American Arbitration Association (“AAA”) by visiting its website (www.adr.org) or calling its toll free number (1-800-778-7879. You may deliver any required or desired notice to Comcast by mail to Comcast, 1701 JFK Boulevard, Philadelphia, PA 19103-2838 – ATTN: LAW DEPARTMENT. F. RIGHT TO SUE IN SMALL CLAIMS COURT. Notwithstanding anything in this Arbitration Provision to the contrary, either you or Comcast may bring an individual action in a small claims court in the area where you receive Service(s) from Comcast if the claim is not aggregated with the claim of any other person and if the amount in controversy is properly within the jurisdiction of the small claims court. G. ARBITRATION PROCEDURES. This Arbitration Provision shall be governed by the Federal Arbitration Act. Arbitrations shall be administered by AAA pursuant to its Consumer Arbitration Rules (the “AAA Rules”) as modified by the version of this Arbitration Provision that is in effect when you notify Comcast about your Dispute. You can obtain the AAA Rules from the AAA by visiting its website (www.adr.org) or calling its toll-free number (1-800-778-7879). If there is a conflict between this Arbitration Provision and the rest of this Agreement, this Arbitration Provision shall govern. If there is a conflict between this Arbitration Provision and the AAA rules, this Arbitration Provision shall govern. If the AAA will not administer a proceeding under this Arbitration Provision as written, the parties shall agree on a substitute arbitration organization. If the parties cannot agree, the parties shall mutually petition a court of appropriate jurisdiction to appoint an arbitration organization that will administer a proceeding under this Arbitration Provision as written applying the AAA Consumer Arbitration Rules. A single arbitrator will resolve the Dispute. Unless you and Comcast agree otherwise, any arbitration hearing will take place at a location convenient to you in the area where you receive Service(s) from Comcast. If you no longer receive Service(s) from Comcast when you notify Comcast of your Dispute, then any arbitration hearing will take place at a location convenient to you in the county where you reside when you notify Comcast of your Dispute provided that Comcast offers Service(s) in that county, or in the area where you received Service(s) from Comcast at the time of the events giving rise to your Dispute. The arbitrator will honor claims of privilege recognized by law and will take reasonable steps to protect customer account information and other confidential or proprietary information. The arbitrator shall issue a reasoned written decision that explains the arbitrator’s essential findings and conclusions. The arbitrator’s award may be entered in any court having jurisdiction over the parties only if necessary for purposes of enforcing the arbitrator’s award. An arbitrator’s award that has been fully satisfied shall not be entered in any court. H. WAIVER OF CLASS ACTIONS AND COLLECTIVE RELIEF. :. THERE SHALL BE NO RIGHT OR AUTHORITY FOR ANY CLAIMS TO BE ARBITRATED OR LITIGATED ON A CLASS ACTION, JOINT OR CONSOLIDATED BASIS OR ON BASES INVOLVING CLAIMS BROUGHT IN A PURPORTED REPRESENTATIVE CAPACITY ON BEHALF OF THE GENERAL PUBLIC (SUCH AS A PRIVATE ATTORNEY GENERAL), OTHER SUBSCRIBERS, OR OTHER PERSONS. THE ARBITRATOR MAY AWARD RELIEF ONLY IN FAVOR OF THE INDIVIDUAL PARTY SEEKING RELIEF AND ONLY TO THE EXTENT NECESSARY TO PROVIDE RELIEF WARRANTED BY THAT INDIVIDUAL PARTY’S CLAIM. THE ARBITRATOR MAY NOT CONSOLIDATE MORE THAN ONE PERSON’S CLAIMS, AND MAY NOT OTHERWISE PRESIDE OVER ANY FORM OF A REPRESENTATIVE OR CLASS PROCEEDING. I. ARBITRATION FEES AND COSTS. If your claim seeks more than $75,000 in the aggregate, the payment of the AAA’s fees and costs will be governed by the AAA rules. If your claims seek less than $75,000 in the aggregate, the payment of the AAA’s fees and costs will be Comcast’s responsibility. However, if the arbitrator finds that your Dispute was frivolous or brought for an improper purpose (as measured by the standards set forth in Federal Rule of Civil Procedure 11(b)), the payment of the AAA’s fees and costs shall be governed by the AAA Rules and you shall reimburse Comcast for all fees and costs that were your obligation to pay under the AAA Rules. You may hire an attorney to represent you in arbitration. You are responsible for your attorneys’ fees and additional costs and may only recover your attorneys’ fees and costs in the arbitration to the extent that you could in court if the arbitration is decided in your favor. Notwithstanding anything in this Arbitration Provision to the contrary, Comcast will pay all fees and costs that it is required by law to pay. J. SEVERABILITY AND WAIVER OF JURY TRIAL. If any part of subsection (h) of this Arbitration Provision is found to be illegal or unenforceable, the entire Arbitration provision will be unenforceable and the Dispute will be decided by a court. WHETHER IN COURT OR IN ARBITRATION, YOU AND COMCAST AGREE TO WAIVE THE RIGHT TO A TRIAL BY JURY TO THE FULLEST EXTENT ALLOWED BY LAW. If any other clause in this Arbitration Provision is found to be illegal or unenforceable, that clause will be severed from this Arbitration Provision and the remainder of this Arbitration Provision will be given full force and effect. K. CONTINUATION. This Arbitration Provision will survive the termination or expiration of these Terms. The Terms constitute the whole legal agreement between you and Comcast and govern your use of the Comcast Web Services, and completely replace any prior agreements between you and Comcast in relation to the Comcast Web Services. Upon termination of these Terms for any reason, Comcast and its suppliers reserve the right to delete all your data, files, electronic messages, or other information that is stored on Comcast's or its suppliers' servers or systems. Comcast shall have no liability whatsoever as the result of the loss of any such data. You agree that Comcast may provide you with notices, including those regarding changes to the Terms, by email, regular mail, or postings on the Comcast Web Services. The Terms, and your relationship with Comcast under the Terms, shall be governed by the laws of the Commonwealth of Pennsylvania, without regard to its conflict of laws provisions. By using the Comcast Web Services, you consent to the exclusive jurisdiction of the state and federal courts in Philadelphia, Pennsylvania, in all disputes arising out of or relating to the Terms or Comcast Web Services. 22. SPECIAL NOTE ABOUT CONTENT PROVIDED AS PART OF YOUR XFINITY TV SUBSCRIPTION. If you are a residential subscriber to XFINITY TV and XFINITY Internet, you may be entitled to use your Internet connection to access certain video content that is related to your XFINITY TV subscription in addition to the content that is generally available on the Comcast Sites. For example, if you subscribe to HBO as part of your XFINITY TV subscription, in addition to the content that is generally available on the Comcast Sites, you may be entitled to access HBO content on the Comcast Sites as well. This additional video content is intended to be used as a complement to your XFINITY TV subscription, and therefore should only be viewed by members of the residence at which you have an XFINITY TV subscription and others who you have invited to view the content without charge of a fee or other consideration. This specifically excludes any public presentation (e.g., a presentation in a dorm lounge) and any presentation by a place of public accommodation or other commercial establishment (e.g., a bar or restaurant), even if no fee is charged. You may not simultaneously view more than three video streams of this additional content per residence at which you already have an XFINITY TV subscription. 23. SPECIAL NOTE ABOUT XFINITY WI-FI FOR USERS WHO ARE NOT XFINITY INTERNET SUBSCRIBERS. be at least 18 years of age. If you are not a subscriber to the XFINITY Internet Performance Tier or above, you can generally use XFINITY Wi-Fi for up to two hours without having to sign in again. Certain locations ("Venues") may offer you free use of Xfinity Wi-Fi ("Amenity Wi-Fi"). Your use of amenity Wi-Fi is subject to these Terms and any other terms and conditions made available by the Venue ("Venue Policies"). Comcast is not responsible for the Venue Policies or the actions of the Venue. You should read the Venue Policies before using Amenity Wi-Fi. After 20 minutes of inactivity, you’ll be automatically logged off. If you pay to access the Wi-Fi Service on a pay-per-use ("PPU") basis, these Terms incorporate the payment and support terms presented as part of the PPU sign in and payment process as described at http://www.comcast.com/wifi/trial.htm. Whenever you log in to the Wi-Fi Service, we help protect your privacy and the safety of your login ID and password by providing 128-bit encryption on the sign-in page. This is the same standard used by thousands of online banking and financial services sites around the world to protect your critical transactions. When online with any Wi-Fi service, remember that Wi-Fi is not an inherently secure technology and that wireless communications can be intercepted. For more information on your security options, please see the Security Tips for Comcast Wi-Fi at http://customer.xfinity.com/help-and-support/internet/wifi-security/.In addition to the online resources at http://wifi.xfinity.com, Comcast provides limited telephone support for this Service, available at 1-800-XFINITY. Comcast reserves the right at any time to terminate your use of the Wi-Fi Service if you fail to comply in full with any term of these Terms, or any other terms, agreements, or policies that apply to this Wi-Fi Service and the use of it. If you paid to access the Wi-Fi Service on PPU (pay per use) basis, you may contact Comcast by phone at 1-866-366-5756 to terminate the Wi-Fi Service. access and use the Wi-Fi Service with anything other than a dynamic IP address that adheres to the dynamic host configuration protocol ("DHCP"). You may not configure your device to use this Wi-Fi Service or any related equipment to access or use a static IP address or use any protocol other than DHCP or for any unlawful purpose. 24. SPECIAL NOTE ABOUT COMCAST EMAIL FOR USERS WHO ARE NOT XFINITY INTERNET SUBSCRIBERS. You understand that Comcast may modify or discontinue the Email Service at any time with or without notice to you. If we do give you notice, it may be provided on any of the Comcast Services, or via email, newspaper, or any other permissible communication. You understand that Comcast may suspend or terminate your access to the Email Service for any suspected or actual violation of these Terms. In addition, you understand that Comcast may suspend or terminate your access to the Email Service if you have not used the Email Service at least once within a nine-month period. If Comcast suspends or terminates your Email Service, your email will be deleted without the ability to be recovered. You will not use the Email Service to communicate or distribute email or other forms of communications in violation of these Terms. As described in Section III of our Acceptable Use for XFINITY Internet policy, Comcast uses reasonable network management tools and techniques to protect customers from receiving spam and from sending spam (often without their knowledge over an infected computer). Comcast's anti-spam approach is explained in the FAQs under the topic "What is Comcast doing about spam?" located here. Comcast is not responsible for deleting or forwarding any email sent to the wrong email address by you or by someone else trying to send email to you. Comcast is also not responsible for forwarding email sent to any Email Service account that has been suspended or terminated. This email will be returned to the sender, ignored, deleted, or stored temporarily at Comcast's sole discretion. If you cancel or terminate your Email Service account for any reason, all email associated with that account (and any secondary accounts) will be permanently deleted as well. If Comcast believes in its sole discretion that any subscriber name, account name, or email address (collectively, an "IDENTIFIER") on the Email Service may be used for, or is being used for, any misleading, fraudulent, or other improper or illegal purpose, Comcast (i) reserves the right to block access to and prevent the use of any of these Identifiers and (ii) may at any time require any customer to change his or her Identifier. In addition, Comcast may at any time reserve any identifiers on the Email Service for its own purposes.